Is it time to sharpen both your knowledge and your chainsaw? Do you want to learn new things about enjoying and caring for your property? Do you want to learn things like how to grow gourmet mushrooms; why so many trees are dying and what to do; how to sharpen, maintain, and safely operate your chainsaw; how to handle problematic legal issues like easements and trespass; how to improve wildlife habitat; and much more? If so, this Winter School is for you! Whether you are a “novice” to family forestry, or your family has owned land for many generations, there is something new for everyone to learn. The Winter School will take place from 9:00 AM to 4:00 PM, Saturday February 23rd, 2019. Gates and exhibits open at 8:00 AM. Workshops and classes will range from 1 hour to 2 hours. Throughout the day, and a dozen topics will be presented for you to choose from! By the end of the day, you will have attended four to six sessions. In addition, by the registration area there will be a resource area featuring exhibitors, vendors, and displays by public, private, and nonprofit organizations that provide products and services to assist property owners. You can browse the resource area and network with forestry professionals in the morning and during the lunch hour. The workshop stations are located in classrooms on the first floor of Cedar Hall, all within a 5 minute walk from the registration and exhibit area. For each workshop session, you will get to pick from the workshops offered for that session time. A schedule showing what workshops are offered at what times (and the classroom locations) will be provided when you arrive. The sessions will run approximately one hour, followed by ten minutes to walk to your next workshop. Coffee and very light refreshments will be available in the morning, and water will be available throughout the day. Lunch will be provided for all pre-registrants, sponsored by the Washington Tree Farm Program and the Washington Farm Forestry Association. Pre-registration is required for lunches, because we have to know how many to order. If you register at the gate, please pack your own lunch, or plan to go out during lunch time. Restrooms will be available in the building. These are the different workshops that will be offered throughout the day. Complete workshop schedule. Agroforestry – Learn about how trees and agriculture can be incorporated together to create productive, sustainable systems. markets. Learn about markets and pricing from a log buyer. Chainsaw safety and maintenance – Receive hands on instruction on how to safely, and effectively, run a chain saw. This is a two hour workshop. You need to bring your saw (empty gas tank only!) and tools. This class is limited to 20 people, and is now full. Climate change – Come hear some of the latest research, what we can expect, and what we still don’t know. Consulting foresters – Meet a consulting forester and learn about when and how to use one to help get the most from your forest. Cost share and technical assistance panel, with NRCS, DNR, and KCD – Come hear what programs and resources are available to help you fund the management of your forest. Current Use Taxation – Learn about tax programs for landowners, including Designated Forestland and King County’s PBRS program. Drones and forestry: Overview and software – Learn about the applications of drones in forestry and the mapping software. Fire prevention – Wildfire risk is high in our region – learn to protect your trees and your home. 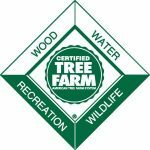 Forest Certification programs for landowners – Learn about the process to get your forest certified through the Forest Steward Council or the American Tree Farm System. Forest health – Learn about current issues, mortality trends, and what to do. Forest Soils – To really know your property, you should learn about what’s under your trees, including how to find out what type of soil you have, soil properties and suitabilities, and why it matters for whatever your objectives are. Invasive woody weed control – Learn how to control aggressive woody, non-native plants that damage the local ecosystem. Legal Issues for Small Forest Landowners – Learn about how you can handle and prevent legal issues on your property. Plant identification – Learn how to spot common native species in your woods as well as some of their uses. Safety and security – Law Enforcement Officers from the Department of Natural Resources will lead a discussion on ways to deter trespassing, dumping, vandalism, timber theft, and off-road vehicles. Sawmill demonstration – Learn cutting methods using a Wood-Mizer portable sawmill. Shiitake mushroom culture – See how to grow these gourmet mushrooms on logs on your property. Wildlife habitat and animal damage – Learn about the wildlife that call our forests home, and simple, effective strategies to improve habitat for on your property, and minimize damage from critters. If you pre-register, your lunch will be provided, sponsored by the Washington Tree Farm Program and the Washington Farm Forestry Association. Must be received before Thursday February 14th, 2018 – Includes lunch. Check (preferred) or cash (exact change) – Bring your own lunch. Discounts are available for students and active Master Gardeners – call 206-263-1128 for details. To be eligible for a refund, cancellations must be received by 5:00 p.m. Tuesday, February 19th, and refunds may be subject to a $5 administrative fee. Register online with a credit card through Eventbrite (external site). Online registration is available until 5:00 p.m. Thursday, February 21st. Registration by mail is now closed. If registering at the gate on the day of the event, please bring a check (preferred) or exact cash to the registration booth. We cannot accept debit or credit cards on site. Note: if registering at the gate, please bring your own lunch or plan to go out to a nearby restaurant during the lunch break. The Western Washington Forest Owners Winter School is an educational partnership between Washington State University Extension Forestry and Green River College Natural Resources. This program is made possible in part by funding support from King Conservation District, Washington State University, the Washington Tree Farm Program, and the Washington Farm Forestry Association. Agencies and organizations contributing instructors and in-kind support include the Washington Department of Natural Resources and the King County Department of Natural Resources and Parks. Extension programs and employment are available to all without discrimination. Evidence of noncompliance may be reported through your local Extension office. Reasonable accommodations will be made for persons with disabilities and special needs, or who require alternative means for communication or program information or reasonable accommodation, contact Kelsey Ketcheson at (206) 263-1128 or kelsey.ketcheson@wsu.edu at least two weeks prior to the event.